It’s not just hands-free driving that self-guided cars may bring into reality. Autonomous vehicles could unleash new technological and economic development on a level not seen since the dawn of the space age. “As it’s been described to me, from folks in Silicon Valley and others, when AVs can pilot through a city like Washington, D.C., using AI, that means AI is ready for prime time in every single industry in America. It will change everything in this country,” said Peters, speaking June 13 with officials from Securing America’s Future Energy, a Washington-based advocacy organization charged with reducing America’s dependency on oil and the growth of alternative fuel mobility. “It will be as transformative as when Henry Ford had the first assembly line in the last century,” Peters said of AV development. The report predicts autonomous vehicles will contribute some $800 billion annually “in economic and societal benefits” when AVs are fully deployed. The benefits will come from cost savings related to reduced crashes, fuel efficiency and better access to transportation. “Even if automated vehicles only succeeded in eliminating the accidents that are caused by driver behavior and error, the number would be in the hundreds of billions of dollars per year that could be saved,” said W. David Montgomery, a former senior fellow at Resources for the Future, speaking during a panel discussion at SAFE. The AV study is based on reports and research conducted by Montgomery and economists Erica Groshen, former U.S. Bureau of Labor Statistics commissioner, and Richard Mudge, CEO of Compass Transportation and Technology. RELATED: Could self-driving bulldozers help fix a housing shortage? However, other experts raised the possibility that AVs also could have the unintended effect of putting more cars on the road and increasing congestion, said Susan Helper, former chief economist for the U.S. Department of Commerce. Dozens of auto and mobility companies are involved in some form of AV development, ranging from the testing of small electric shuttles in cities such as Las Vegas, to Ford’s latest move to purchase the abandoned Michigan Central Station in Detroit to be restored and redeveloped as the company’s campus for self-driving car research and development, as well as other mobility endeavors such as ride-hailing services. As of June 20, 56 companies hold autonomous vehicle testing permits in California, another state leading the AV effort. “I think we are at the forefront of a new and exciting frontier,” Rep. Debbie Dingell (D-Mich.) said. Dingell would like that frontier to begin in Michigan. “I also get very angry when people say that Silicon Valley is where all the work is being done,” she remarked during the AV discussions at SAFE. 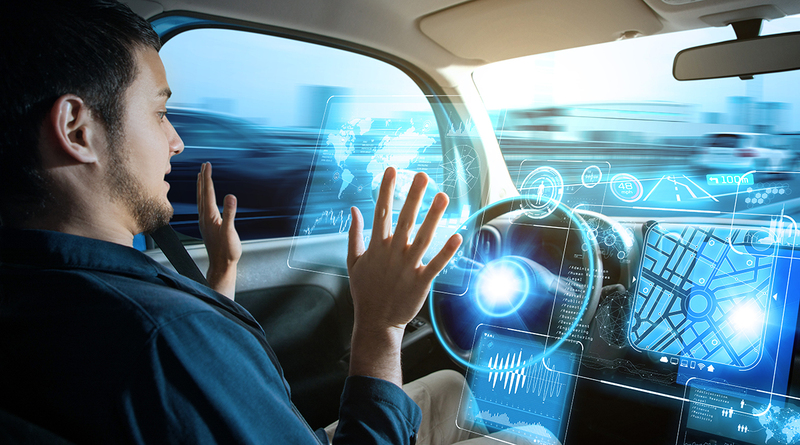 Perhaps where AVs will have the most significant impact on American life will be in the many technology sectors the cars will enable to flourish, said Rodney Slater, secretary for the U.S. Department of Transportation during the Clinton administration. “I think that the potential opportunity here is as significant as the challenge to us responding to Sputnik,” said Slater, calling to mind the launch of a Soviet satellite into space in the middle of the last century. The event officially launched a race into space by the United States and the Soviet Union, resulting in a surge in government and private-sector funding in a wide range of sciences and technologies that impacted education and research while opening up new sectors of the economy.